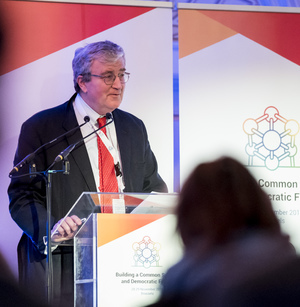 On 28-29 November Brussels hosted the EaP CSF Annual Assembly for the first time in 7 years since the meeting that marked the beginning of the Forum’s work. 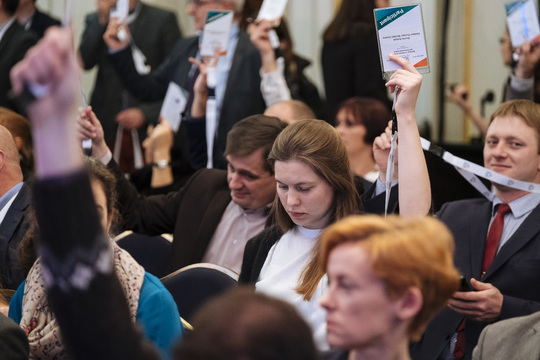 The 8th Annual Assembly attracted over 250 participants, observers and guests who attended more than 15 sessions of different formats focusing on the most topical issues for the EaP civil society. 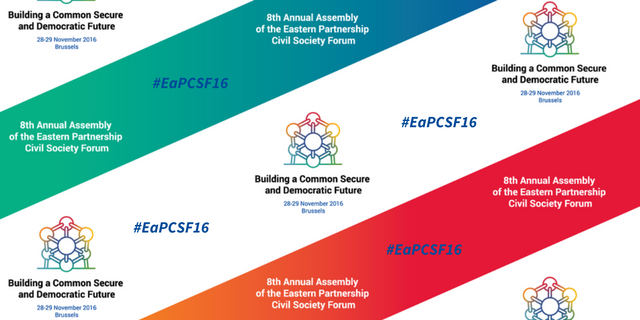 Commissioner Johannes Hahn, along with the Co-Chairs of the EaP CSF Steering Committee, Ulad Vialichka and Krzysztof Bobinski opened the major EaP civil society event of the year held under the title Building a Common Secure and Democratic Future. 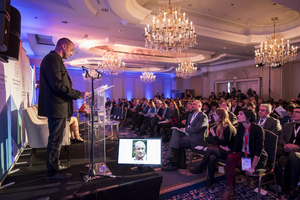 The opening ceremony also featured the presentation of the EaP CSF Pavel Sheremet Award to the Crimean journalist Mykola Semena, in recognition for his courage to risk his safety and freedom for the cause of the media freedom in Crimea. 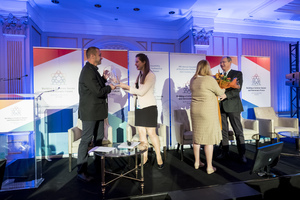 It was presented by the EaP CSF Steering Committee members Dovile Sukyte and Iryna Sushko, and received by Nenad Pejic, RFE/RL Vice President, and Volodymyr Prytula, RFE/RL Crimea.Reality project Chief Editor. 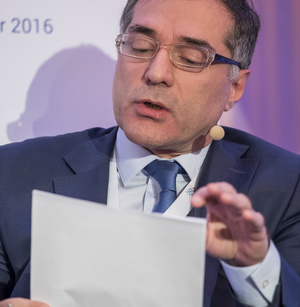 "Civil society organisations are a crucial link between governments and citizens. It is civil society […] that implants the practice of citizen rights, through leadership and example. 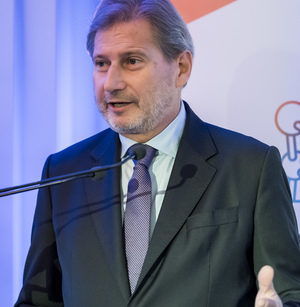 […] That is why we need you to reach out to both women and men in your countries, to stay engaged in your communities," said Commissioner Hahn, adding that by the end of 2017 only the targeted EU support to civil society will have exceeded €50m EUR. 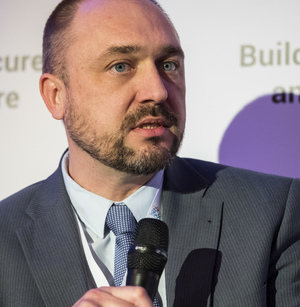 Krzysztof Bobinski described the role of the civil society in the Eastern Partnership: "The main value of our meeting is that we meet and talk and exchange opinions and plan to work together. Because as different as we are we have so much in common, not only a common desire to build a fairer, safer and well-functioning world, but we face common threats - be they from neighbouring countries, which fear the success of the changes that we are working for, but also from internal forces, from the autocrats and the kleptocrats." Ulad Vialichka outlined the progress the Forum has achieved so far: "We met in Brussels for the first time in November 2009. 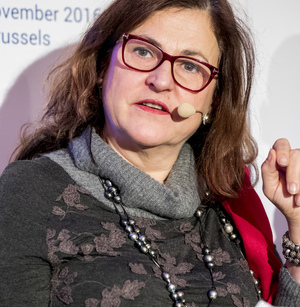 Since then the Eastern Partnership region, the European Union policy vis-a-vis the Eastern Partnership, and the Forum itself have changed considerably. 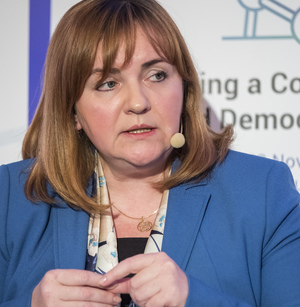 Only if we attract new members and retain the good will of our membership, past and present, we can resist the threats which CSOs in the Eastern Partnership face from the rulers in our countries, many of whom remain suspicious of independent CSOs focused on reforms." 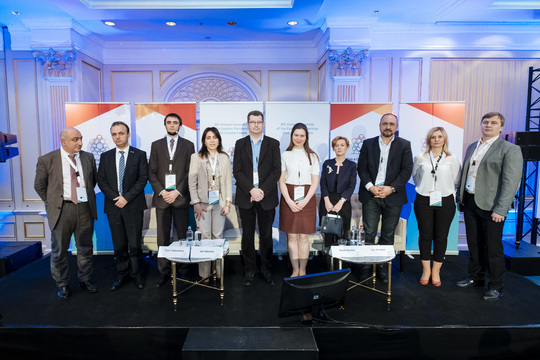 Throughout the parallel panels the participants debated on topics related to the EaP CSF priorities such as energy security, EU youth policies and transparency of the EU funding in the region. 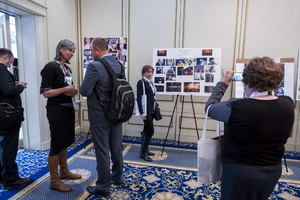 A special exhibition Eastern Partnership without Political Prisoners was organised during the Annual Assembly to raise awareness about the civic and political activists convicted on politically motivated grounds. The event included a special ceremony dedicated to awarding the three best EaP CSF re-granting projects. The winners have been implementing projects on strengthening security, waste management and higher education reforms in the EaP countries over the period of 6 months. 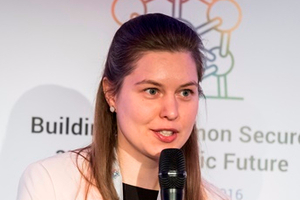 A variety of projects and publications by the EaP CSF members were presented during the Annual Assembly, including 18 re-granting projects funded this year. Twelve resolutions were adopted by the General Assembly as the highest decision-making body of the Forum. This year, the topics of major concern for the EaP CSF were comprehensive agreement between the EU and Azerbaijan, joining the International Criminal Court, gender policy, Convention on the Rights of Persons with Disabilities, EU-EaP bilateral and multilateral programs, OPAL pipeline, human rights situation in Crimea, EaP Platform on Common Security and Defence Policy, prisoners of conscience in Armenia, unlawful sanctions against EaP citizens by Russia, situation with Dniester river basin, and protection of human rights defenders. 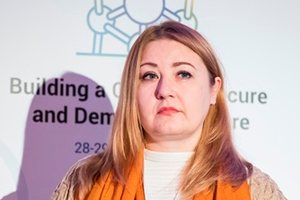 For the second year in a row the event included two new types of sessions - stakeholders meeting initiated by Working Groups and by National Platforms – during which CSOs raised their concerns on selected topics of their interest. Working Groups’ initiated stakeholders meeting focused on good governance, information society, energy security and environment, formal and non-formal education, and labour migration. 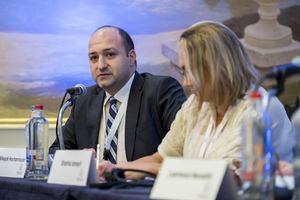 National Platforms’ initiated meetings explored civil society’s role in EU-Armenia Framework Agreement, EU negotiations with Azerbaijan, EU-Belarus relations after September elections, EU-Georgia relations in light of the AA/DCFTA implementation, EU-Moldova relations after the presidential election, and EU sanctions related to the conflict in Ukraine. During the Working Groups (WGs) meetings the results of their work in 2016 were presented and the priorities of WGs for 2017 were identified. 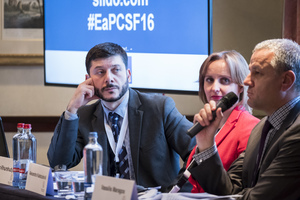 During the 2-day event the participants elected the new EaP CSF Steering Committee 2016-2017 with a mandate from civil society of the EaP countries and EU member states to serve as the governing board of the Forum during a one-year term. 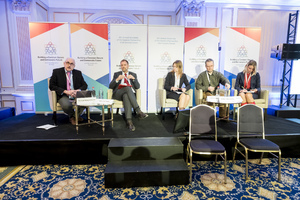 The EaP CSF would like to thank the European Commission, National Endowment for Democracy (NED) and Czech Ministry of Foreign Affairs for their generous support of the event and the Forum.